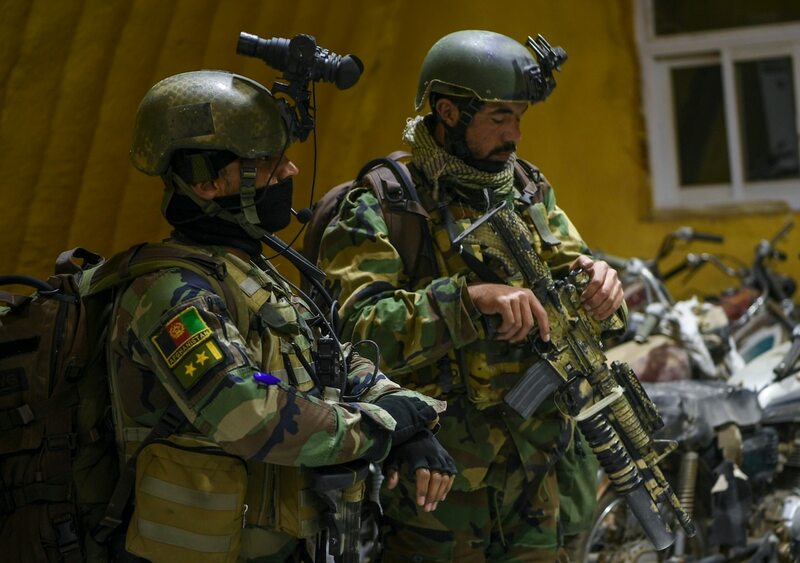 WASHINGTON — U.S. and Afghan forces have killed several senior level al-Qaida and Taliban leaders over the past several days. Al-Qaida leader Omar Khetab, a senior leader of al-Qaida in the Indian Subcontinent, was confirmed dead Dec. 4 by Afghan forces. Khetab was known to carry out attacks against government and foreign troops and “had a role in advising in the use of heavy weapons such as rockets, mortars and training for Taliban night attacks,” according to a press release from U.S. Forces-Afghanistan reads. Other al-Qaida leaders were killed in operations spread across Ghazni, Paktia and Zabul provinces. A senior Taliban leader, Mullah Shah Wali, aka Haji Nasir, commander of the militant group’s infamous “Red Unit,” was also killed in a strike Dec. 1 in Musa Qalah district of Helmand province, Afghanistan. Wali’s deputy commander and three other militants were also killed in the strike. “Wali and his ‘Red Unit‘ are responsible for planning numerous suicide bombings, IED attacks, and coordinated assaults against civilians and Afghan and coalition forces,” according to the press release. The “Red Unit” is considered to be the Taliban’s special forces unit. The group has been pictured in several Taliban propaganda videos this year brandishing U.S. rifles, machine guns, and sophisticated weapons optics. The group is believed to be able to carry out night attacks with the aid of night vision devices. The unit was responsible for a series of daring nighttime raids in mid-November against Afghan checkpoints and police stations. Riding into battle in stolen police Ford Ranger trucks and wearing night vision devices with mounted rifle lasers and telescopic night vision optics, the group managed to kill dozens of Afghan security forces, according to a report by the New York Times. A recent Taliban propaganda video uploaded to the group’s official media site appears to show Taliban fighters mimicking the style and tactics of American commandos. The deaths of the terrorist leaders come at a time when the U.S. is ramping up strikes in Helmand valley against Taliban narcotics supplies, part of its new South Asia strategy.